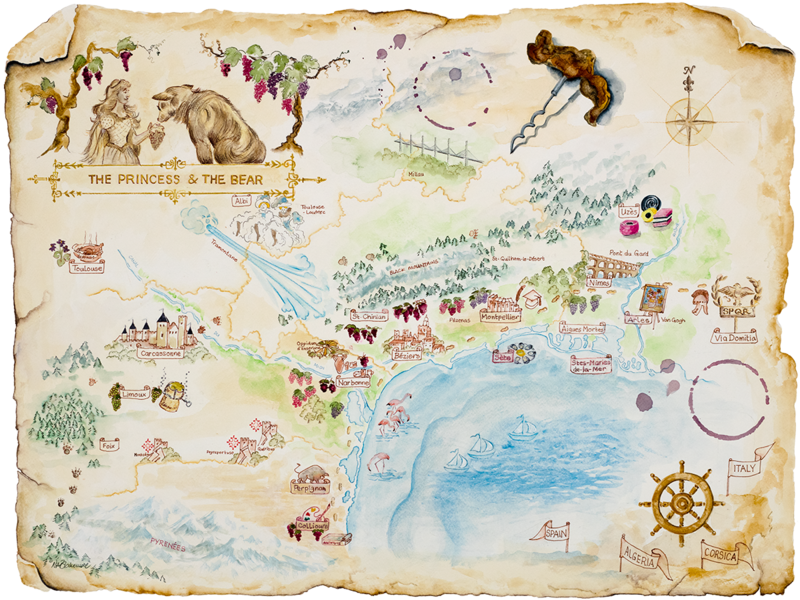 The Princess and The Bear is the only wine club focused exclusively on the Languedoc-Roussillon area of France, bringing undiscovered regional wines directly to wine enthusiasts in the United States. We handpick the winemakers whose wines we sell-because a great winemaker doesn’t just make one good wine! 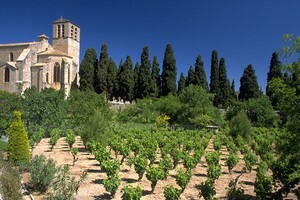 There is an ongoing renaissance in winemaking in the Languedoc-Roussillon, described by wine critics as "the most exciting wine region of the whole of France". Young, passionate winemakers are producing delicious, affordable, award-winning wines in this gorgeous terroir. Each year, we taste hundreds of wines to bring the best to you. We are thrilled to share our curated selections of Languedoc and Roussillon wines, which capture the essence of this independent region rich in history, beauty, independent minded winemakers and culinary treasures-an authentic region of France untouched by tourist buses. We offer carefully selected club shipments and individual bottle sales for all types of wine enthusiasts - from casual wine drinkers to adventurous tasters and seasoned wine connoisseurs. Experience the flavors and the stories behind these unique wines that few have yet to enjoy. Let the discovery begin! By advance reservation in response to an offering email from us, giving you access to small lots of wines that have been made available to Princess and Bear by one of the many excellent local winemakers. Each year we taste hundreds of wines and make selections that show the fantastic diversity of grape varieties and wine growing regions in the Languedoc-Roussillon. Many of the vignerons of the Languedoc-Roussillon have embraced organic, biodynamic and chemical free viticulture. 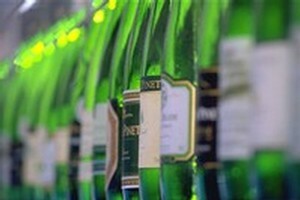 So, we have a wide selection of earth and wine-lover friendly wines available each quarter. Carol Bailey (The Princess), a family law attorney and mediator, and Steve Medwell M.D. (The Bear), a surgeon, founded The Princess and The Bear after they bought a home in the Languedoc and began tasting the incredible and affordable wines of the Languedoc-Roussillon. Carol and Steve were not new to wine. They had been enthusiastic wine drinkers for many years and Carol’s mother had been an importer of French wines to the US back in the 1970s, which began a robust family tradition of enjoying wine and great food with family and friends. But, like many American wine lovers, Carol and Steve knew almost nothing about the wines of the Languedoc-Roussillon. Then, living in the Languedoc, they discovered that there was wonderful wine everywhere in the Languedoc-Roussillon and that the region was undergoing a massive transformation from producing bulk wines into producing delicious, authentic artisanal wines that wear no make up, and are the authentic expression of the magical wine trinity: the terroir, the grape and the wine maker. Just that. Our whole team is delighted to bring you these special, affordable wines that will transport you to an undiscovered part of the world that is not only rich in history and tradition but boasts some of the most delicious and affordable wines you can find anywhere. Assemble your friends and family, get your corkscrew ready and join us in discovering the hidden treasures of the Languedoc-Roussillon!